A housekeeping company who cares….that gets it right the first time. A professional you can trust and count on to be on time and uphold the highest standards of quality and care for your home. We are that company. You will notice the distinction from the moment we enter your home. From our expertly trained cleaning professionals, to the quality products we use and all the steps we take (like color coded sponges to avoid cross contamination and clean, sanitized towels, mopping pads and vacuum filters for every house – every time) you understand that we are here to give you with the greatest possible cleaning experience available. This is the way we do things. Our clients expect the very best and we wouldn’t have it any other way. 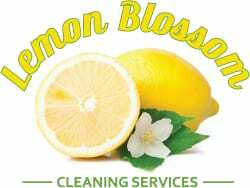 Lemon Blossom Cleaning Services is here to make sure your home is properly cleaned at a reasonable price. Being in the house cleaning profession for so many years, we have had the privilege of meeting many of the fine people and families throughout Farmersville, TX and surrounding areas and we are very happy to say that much of our business comes from repeat customers and referrals. Our objective is to get your living space clean so you can live your life. We provide house cleaning services five days a week, giving our clients the option of selecting the best time for them. Whether it is a onetime cleaning for moving in or out of a residence, a spring cleaning, or a scheduled weekly, biweekly or monthly housekeeping service, Lemon Blossom Cleaning Services will create the best cleaning plan for you. We also provide green friendly house cleaning services using only biodegradable cleaning products at no additional cost. Lemon Blossom Cleaning Services proudly provides professional house cleaning, housekeeping and maid services for residents throughout Farmersville, Texas and surrounding communities including with the 75442 zip code.